Do you use countless inventory buffer on the manufacturing shopfloor and between the process steps? How much inventory do you hold as finished-product? Why? Did you purchase a one year stock plan? Were your sales too optimistic? 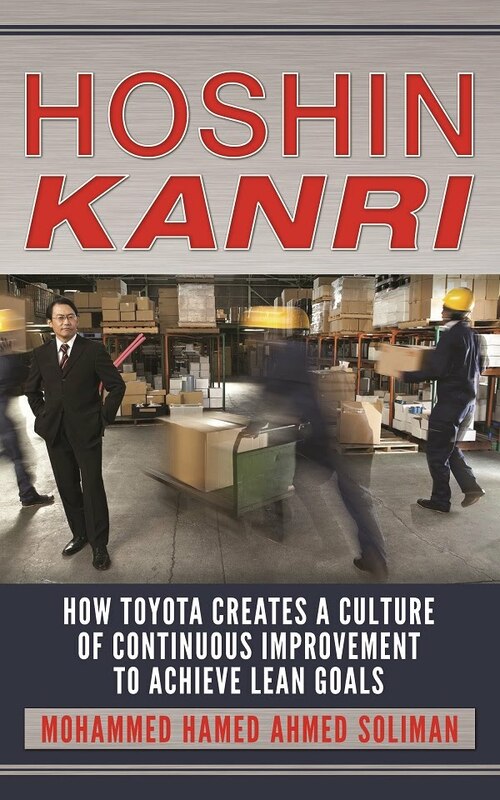 Inventory is one of the greatest wastes defined by the Toyota Production System. Inventory problems are greatly affected by the production style, the improper sales forecasting and the bad procurement planning. Reducing the inventory storing value has become the main goal of any industrial company. The just-in-time (JIT) theory and approaches like Kanban have been utilized to serve the manufacturers’ demands in reducing the inventories, produce only what is needed and when needed while keeping a little buffer for emergencies. Inventory types are the raw material inventory, the work-in-process (WIP) inventory, and the finished product inventory. Inventory always costs the space, return on investment, risk, and the handling efforts. You want to spend money on materials and quickly get the return by selling the finished goods. The total selling revenue recovers profits and other costs, such as indirect salaries, direct salaries, plant expenses, manufacturing overheads, depreciation, taxes, and insurance. One clear example for this is keeping a piece of equipment running constantly utilized because accountant said this machine must run constantly to make it profitable and keep unit cost low. So company's buy materials it doesn't need, pay an operator to run parts that are not needed and puts unnecessary tear and wear on the machine. This is all done because accounting blessed the machine's purchase based on specific parameters, which included sales projections which were too optimistic. In lean, if you don't need the parts, don't runt he machine. The cost of resources spend to make unsellable products plus the cost of holding the inventory is greatly bigger than the cost of not utilizing the machines to their maximum capacity. 1. Return on Investment (ROI): Any investment should have a return. The quicker you get this return, the better it will be. If money has been spent to buy some materials needed for the production process, a quick return is good; a delay in selling the finished product to the customer is bad. This investment amount could have been spent on something else or put in the bank. Delay in getting the return involves the interest losses during this period and the opportunity cost. This money could have been invested in another profitable opportunity or project rather than being wasted on some sluggish materials. 2. Risk: The risk of parts deterioration and damage varies. It depends on the product type. If the product has an expiration date, like food or glue, then it will be very risky to store it. Therefore, most fast-moving-consumer-goods (FMCG) companies try to accelerate the inventory movement and keep as minimum value as possible in their warehouses. 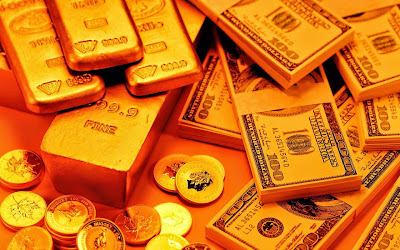 Furthermore, stocking too much inventories puts the whole business at risk should there be a market change, such as a change in the raw material prices or a change in the market demand. At this point, the finished goods inventory might become obsolete. Also, there is a risk of change in the currency value and accidents, such as fires. At the same time, having no inventory puts the business at another risk if the supplier goes out of business unexpectedly due to an economic problem or a natural disaster, such as the earthquakes and tsunamis in Japan. Toyota is the best and the leader of inventory management. The company stocks parts from more than one supplier—indeed, two suppliers for each part type. When the Japanese tsunami and earthquake occurred, some suppliers went down, but Toyota took numerous actions to rectify the issues quickly. 3. Material Handling: This is the cost of transporting goods. Some accountants believe that stocking the inventory one time per year is economically good from the perspective of cost reduction in transportation, but actually this approach is a waste of money. 4. Space: Inventory takes up much space and requires additional space renting or buying. The space is valuable whether it is rented or owned by the manufacturer. The company may find itself having to rebuy more space for more production lines to expand its business, while there is a lot of inventory already taking up valuable space in the factory. It is better to minimize the inventory rather than buy more space to store it. That additional space will require more resources, such as a ventilation system, manpower, equipment, energy, and a data recording system. 5. Insurance and Taxes: Space needs insurance, as does all transportation equipment and manpower. Also, taxes are applied in some areas on the inventory. Production style affects the inventory (this will be explained in the overproduction section), building too much work-in-process (WIP) inventory between the process steps or using a production system based on large batches, which constrains the parts flow through the manufacturing processes. A process might have to wait for parts that need to be made until they are all finished with the other process that supplies it. The main lean goal is to make one piece flow through the production processes, which minimizes the WIP inventories. Producing with small batches is a good idea because it will help facilitate the transportation without requiring heavy equipment like forklifts. Trolleys and other light equipment are preferable for both cost and safety issues. Eliminating the inventory is good; however, having zero WIP inventory will also put the process at risk of stoppage if another process supplying it with parts goes down unexpectedly. Using an inventory buffering system is a good idea to avoid such emergencies. Materials or parts can still be pulled to the production lines but with a little bit of safety stock, using a technique like Kanban (pull cards) to provide the needed materials on time and with the right quantity. There are many other hidden costs of holding inventory. Those costs might be more important than the obvious costs mentioned above. This include the inability to meet customer demand, delays in deliveries due to longer lead times, the lose of market share as a result of slow speed, cost of customer leaving, cost of capacity losses, and cost of lost opportunities . The obvious costs mentioned above can be calculated (as a start) by any estimator or accountant who don't have much experience in the improvement & lean philosophies.